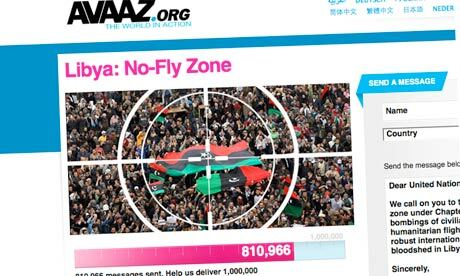 The organization Avaaz was instrumental in building public approval for the No Fly Zone for the illegal invasion of Libya in 2011. 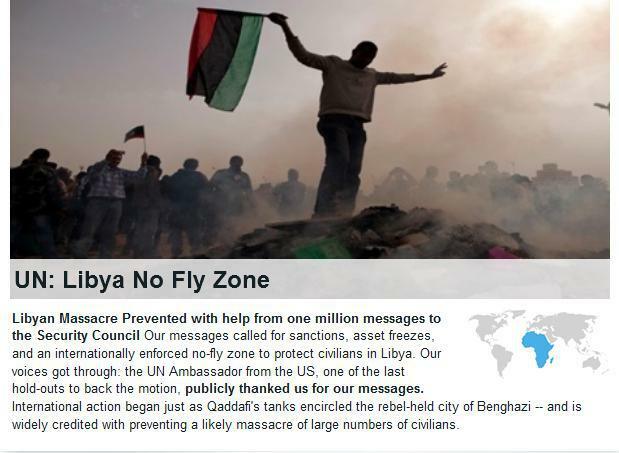 The NATO-led destabilization/illegal war in Libya resulted in the annihilation of a formerly sovereign country that has since descended into brutal chaos. Tens upon thousands of Libyans died and the most savage ethnic cleansing that the mind can imagine has been widespread. The destruction of Libya has been nothing less than a full-scale bloodbath. 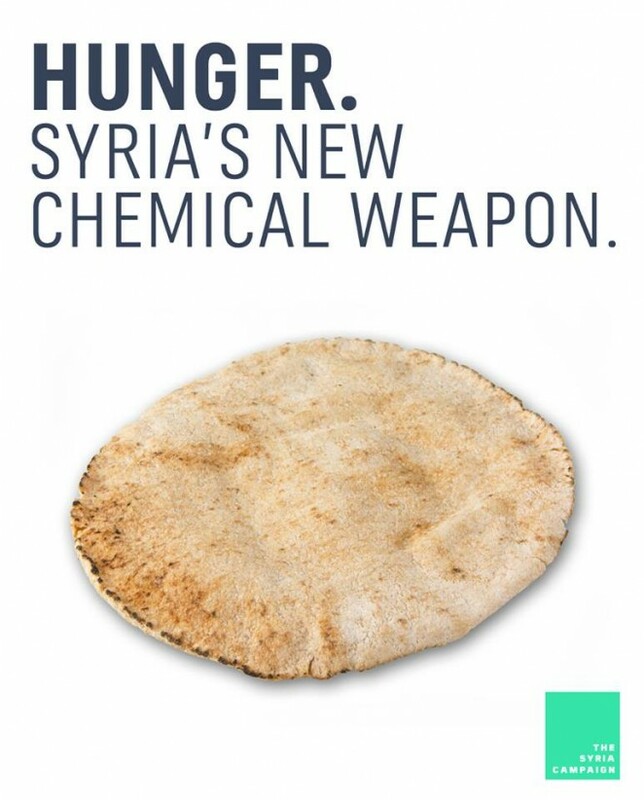 When Avaaz rolled out the same rinse, lather and repeat campaign for the seizing of Syria, the public did not fall prey as easily. The campaign failed. 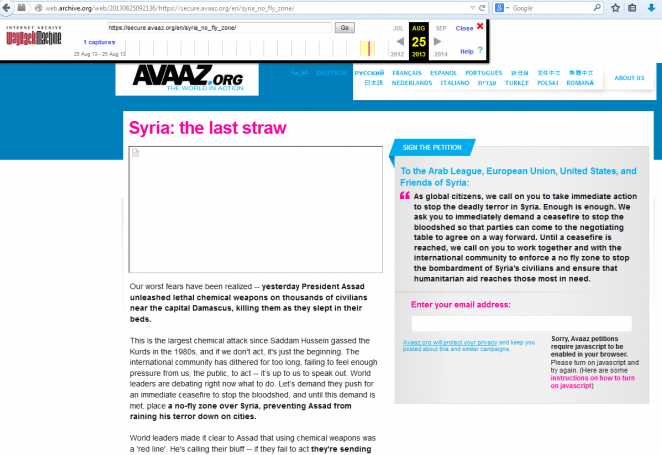 Below are three separate links to the Avaaz campaign calling for a no-fly zone over Syria. 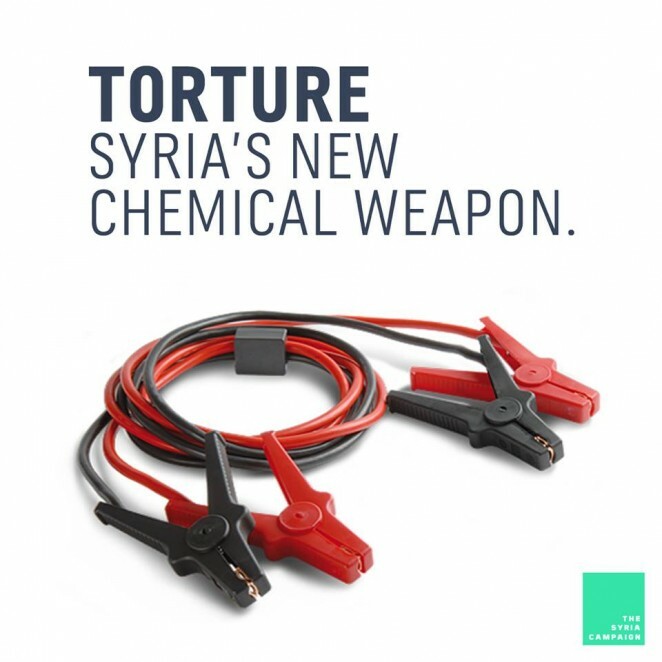 Of the Avaaz campaigns pressing for a no-fly zone (air strikes) over Syria that flourished in June of 2013, at least two employed the use of chemical weapons to incite fear and hatred toward the Assad government. It does not take much stretch of the imagination to consider Avaaz had inside knowledge of the upcoming chemical attack that would take place in outer Damascus approximately 10 weeks later. 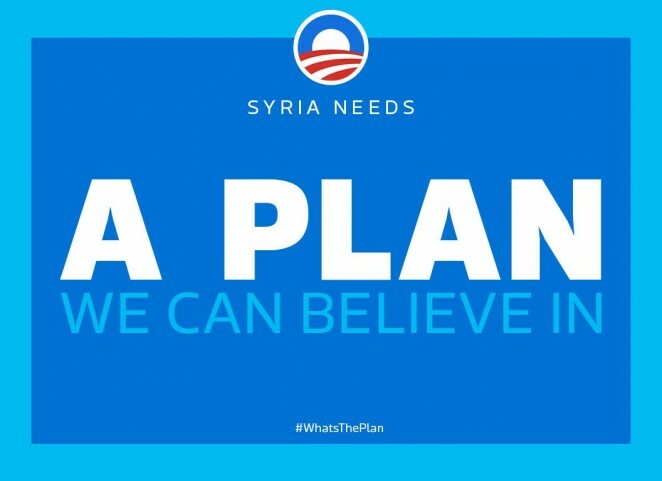 Considering Avaaz co-founder Tom Perriello’s connection to the Obama administration and its well known war criminals, it is entirely plausible that Avaaz was churning out propaganda that would lead up to and sensationalize a false flag attack. Screenshots of an email from co-founder of Avaaz, Ricken Patel to Avaaz subscribers dated August 27, 2014 can be foundhere (1) and here (2). The email from Patel represented a last-ditch effort to garner support for a no-fly zone as the US prepared to launch an attack on Syria. 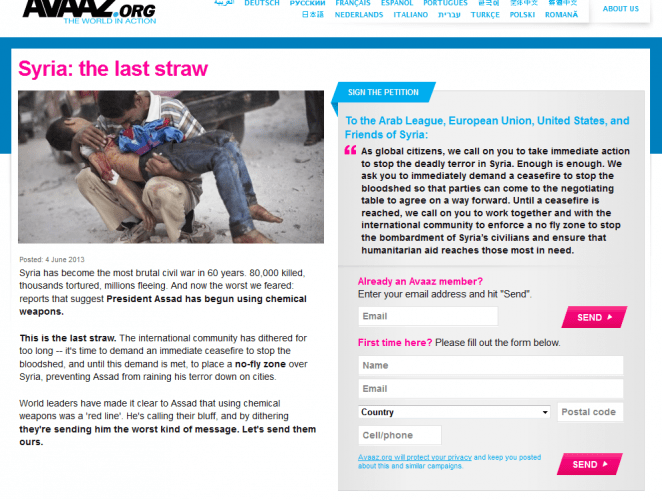 One year earlier, in 2012 Avaaz was allegedly sponsoring fabricated videos of civilian massacres, to back deeper foreign intervention in Syria. Fact-checking and videos appear to collaborate these claims. It should not be considered a coincidence that at the same time, a polished, sophisticated and highly financed “Save Syria” campaign is being created in the board rooms of the Empire’s favourite Harvard boys. Where, under the organization Avaaz, the public hasn’t acquiesced to an air strike on Syria, the New York public relations firm Purpose Inc. has stepped in. Purpose is a for-profit enterprise that is marketed to appear like a non-profit. Their area of expertise is behavioural change. 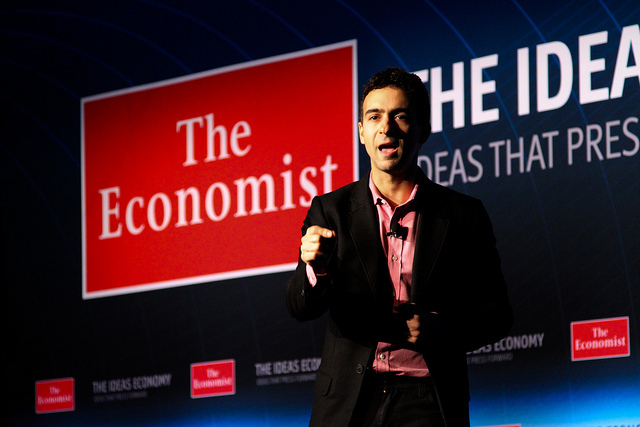 GetUp, Avaaz and Purpose co-founder Jeremy Heimans, 2010. Avaaz and GetUp co-founders Jeremy Heimans (CEO) and David Madden  are also founders of the New York consulting firm, Purpose Inc.
Avaaz co-founder James Slezak is also identified as a co-founder and CEO of Purpose at its inception in 2009. While the behavioural change tactics used by Avaaz are on public display, double-breasted, for-profit Purpose, with its non-profit arm, sells their expertise behind the scenes to further the interest of hegemony and capital. Whether it be a glossy campaign to help facilitate yet another illegal “humanitarian intervention” led by aggressive U.S. militarism (an oxymoron if there ever was one), or the creation of a new global “green” economy, Purpose is the consulting firm that the wolves of Wall Street and oligarchs alike depend upon to make it happen. Another key co-founder of Avaaz is none other than pro-war, pro-Israel, U.S. Democrat Tom Perriello, former U.S. Representative (represented the 5th District of Virginia from 2008 to 2010) and founding member of the House Majority Leader’s National Security Working Group. As demonstrated in the 2012 investigative report on Avaaz, Perriello’s curriculum vitae, built upon privilege within elite circles, is quite extensive. The former Managing Director of Partnerships for “Purpose” is Marilia Bezerra. 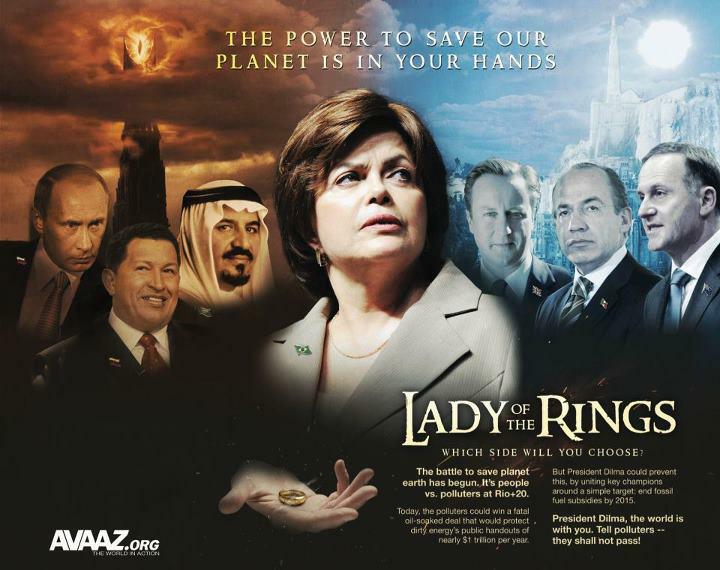 From 2006 to 2011 Bezerra held an integral position within the Clinton Global Initiative (CGI) executive leadership. As Clinton Global Initiative director of commitments, Bezerra led the redesign of member engagement and commitments services into a year-round operation. From 2007 to 2008, Bezerra held the position of sponsorship manager of the Clinton Global Initiative where she directly managed five major sponsorship accounts, including Bill and Melinda Gates Foundation and Procter & Gamble, valued at over $2 million dollars. From 2006 to 2008, Bezerra held the position of Commitment Development Senior Manager for the Clinton Global Initiative. In 2009, Bezerra was Deputy Director of Commitments for the Clinton Global Initiative. One should note that in the case of many NGOs, on 990 tax forms it appears as though those at the helm are paid minimally, if at all. Rather than salaries, many founders of institutions make immense fees via consulting services where their names are not identified on 990 forms. In the case of Avaaz, co-founder Ricken Patel does take a salary (approx. $190,000.00 per year) plus consulting fees. Consulting fees must be considered the bread and butter of many “progressives” whose incomes rival CEOs of multinational corporations. 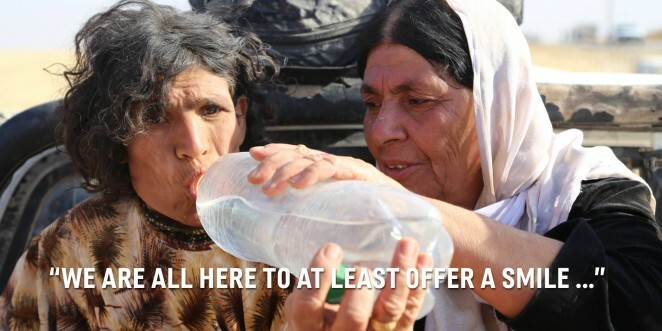 The salaries and incomes are incredible when one accounts for the fact that many NGOs, such as Avaaz, rake in millions of dollars in donations from well-intentioned and hard-working citizens who are at or below the poverty line. 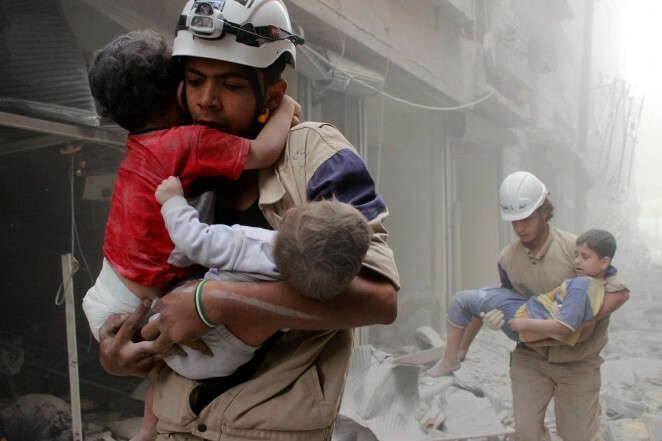 The New York public relations firm Purpose has created at least four anti-Assad NGOs/campaigns: The White Helmets,Free Syrian Voices , The Syria Campaign  and March Campaign #withSyria. Purpose’s March campaign #withSyria website (which doubles as a hash tag for Twitter) partners include: Open Society Foundation (George Soros), Amnesty International, Christian Aid, Care, Friends of the Earth, Oxfam and many more of the largest “humanitarian” NGOs within the non-profit industrial complex which makes up a billion dollar industry. [Full list of partners: http://marchcampaign.withsyria.com/partners0]. Utilizing the consumer culture’s celebrity fetish to sell war (and the illusory “green economy“) is a vital marketing strategy of Purpose. 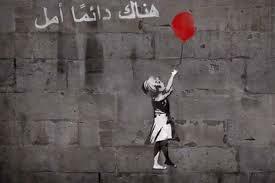 In the case of #withSyria, famed street artist Banksyhas reworked his “Young Girl” famed graffiti stencil in support of the campaign. On the main page of this website the behavioural change strategists at Purpose promote a slick, emotive video of a white child (in America) slowly becoming traumatized by the violence in Syria. No doubt, Purpose’s marketing executives have taken this avenue because they know that the majority of Euro-Americans with privilege simply are not moved by images of suffering children that are non-Caucasian. Non-White children being slaughtered by imperial states became normalized for most Euro-American citizens long ago. Indeed Purpose is being paid to bring about the ending that the elites have hired them to ensure. Free Syrian Voices partners include Amnesty International, the Euro-Mediterranean Human Rights Network, FIDH, Front Line Defenders, Human Rights Watch, Reporters Without Borders and “other international, regional and Syrian organizations” – which conveniently go unnamed. Such emotionally charged campaigns are critical tools for empire. They have become critical (and successful) in building the acquiescence required for “humanitarian interventions” (aka regime change with extensive “collateral damage” thrown in for good measure). 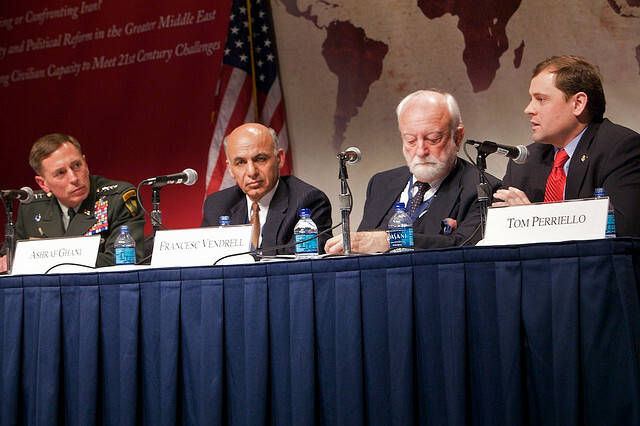 The video below captures highlights from the 2004 Princeton Colloquium on Public and International Affairs and should that be at the Woodrow Wilson School of Public and International Affairs – The Role of NGOs in Global Governance and Society. Attention to the title is key: “NON-governmental organizations in global GOVERNANCE.” [Note the use of the term “guerrilla” (4:13) in describing any citizen/person resisting the occupation/assault by US military on Iraq soil.] Since the filming of this video, accelerating regime change operations are being conducted by Western militaries, hand in hand with Western NGOs throughout the globe. [See more: http://www.interventionism.info/en/Re…]. In essence, NGOs have become an indispensable instrument of destabilization and regime change for imperial states and hegemonic interests. NGOs also serve as the primary agents to implant neoliberal policies and western ideologies in targeted states to advance and protect the interests of the NGOs’ funders. Heiman’s work been recognized in publications like The New York Times and The Economist. In The Economist, Heiman states he chose his career path when “in 2001, a college student named Eli Pariser created an online petition calling for a multilateral response to the ‘9/11 terrorist attacks.’” Over a decade on, with civilian deaths that amount to millions, I’m sure the Iraqis are most grateful. It must be noted that Eli Pariser, too, is a co-founder of Avaaz and Co-Founder and Executive Director of MoveOn.org (Avaaz founder) PAC. 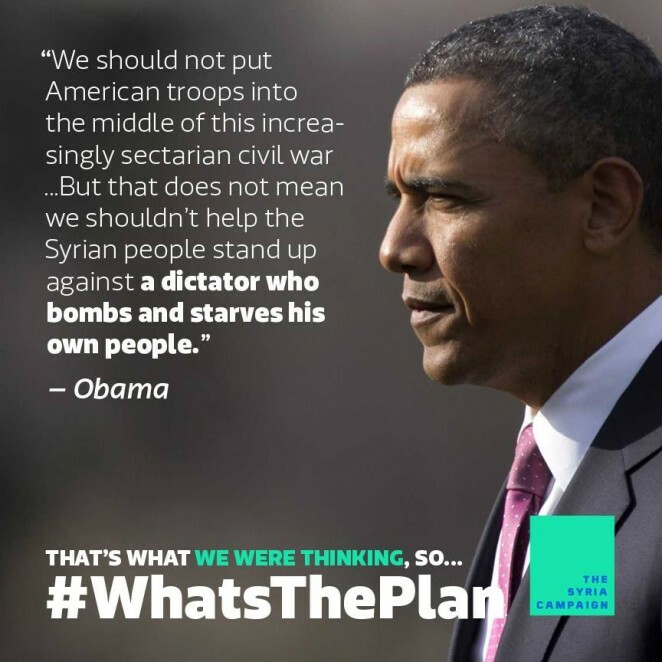 Above: The Syria Campaign, Non-profit Organization, created by Purpose, launched March 7, 2014. “A year ago today, the Syrian government used Sarin gas against its own people killing over a thousand, many of them children. The world was outraged and demanded Assad destroy his stockpile of chemical weapons. 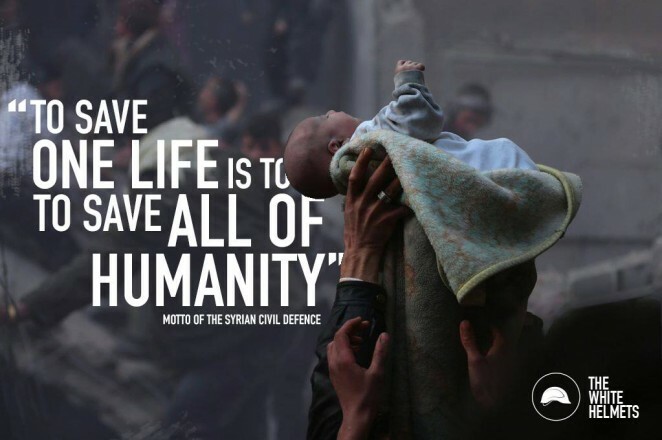 Today chlorine gas is still being used on civilian neighbourhoods, rolled out the back of helicopters in rusty ‘barrel bombs.’” — Purpose Inc. Marketing Firm, Image by Designer : FaDi zyada whose work is also featured on the Heinrich Von Arabien Foundation website. This same website features an absurd photo of Syrians holding up a poster that features a “thumbs up” illustration for USA and the UN. Exploiting the death of Syrian children to provoke air strikes and military aggression demonstrates that such agencies go to any extreme to further American foreign policy. Note that the very carnage described above: “killing over a thousand, many of them children” is par for the course for the U.S. military, which carries out such atrocities on innocent civilians, including children, on a daily basis, all over the world. But don’t expect an Avaaz or Purpose campaign against the Obama Regime any time soon. They will be too busy under the guise of their NGO MoveOn, working on his re-election. The lapdog media have not turned away, but much of the public has. It’s the job of Purpose to employ netwar methods (“a form of low intensity conflict, crime, and activism waged by actors using social networking services” according to Wikipedia) on the public (targeting Euro-Americans) that will instill hatred toward the democratically elected Bashar al-Assad. Above image: Another call for “world leaders” to “come together to put an end to it.” Yet while Purpose may cry crocodile tears over the starvation of Syrians, Avaaz has asked for tough sanctions against Syria. 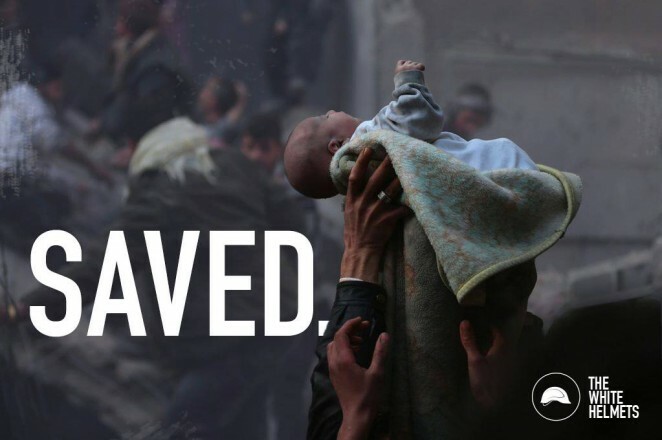 Purpose and Avaaz want to “have their cake and eat it too” – while Syrian lives are destroyed by the oligarchs that both Purpose and Avaaz serve. Firms and agencies such as Purpose write and develop the scripts and design the sets. They bring the stories to life, strategically exploit and manipulate our emotions, ultimately ensuring we come to accept and partake in their politically acceptable means of discourse – discourse sanctioned (and financed) by the empire. The above quote is representative of perhaps one too many spin doctors, for who is allowing Iraq’s Yazidi refugees into Syria, if not the Assad government? 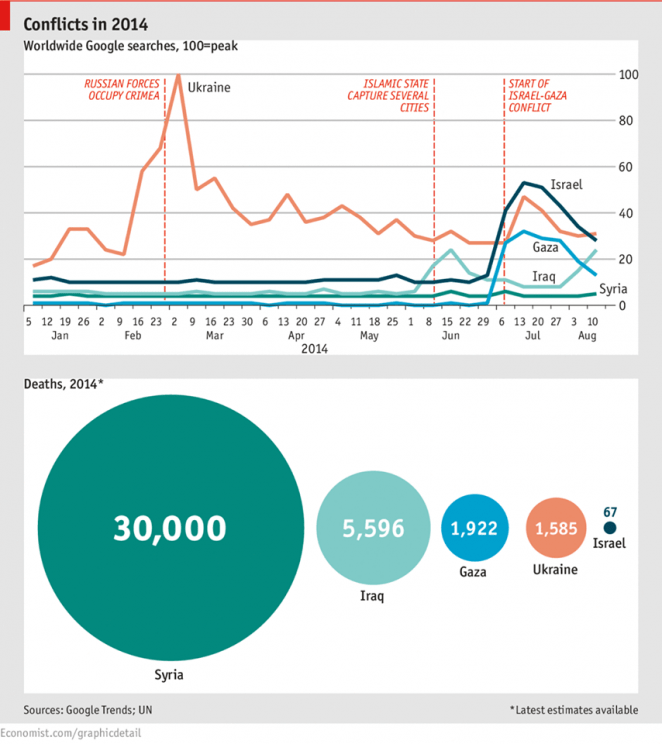 Indeed, Assad’s government has accepted more refugees per capita than any other country in the Middle East. This image takes absurdity to a new level. 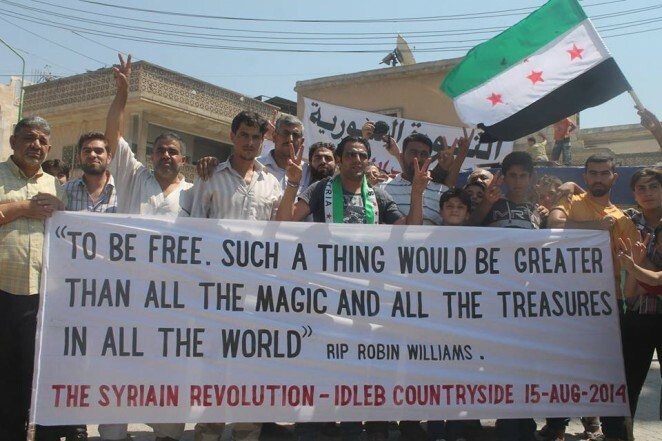 Recap: In the midst of being bombed, starved, and rained on by chemical weapons, Syrians take time to pay homage to an American actor/comedian (because the love of the America that is destroying the Middle East is so great), by quoting a line from a genie in a bottle from a scene in an animated Disney movie and creating a banner in the English language. In the infographic above, Purpose deliberately keeps the stats limited to 2014. 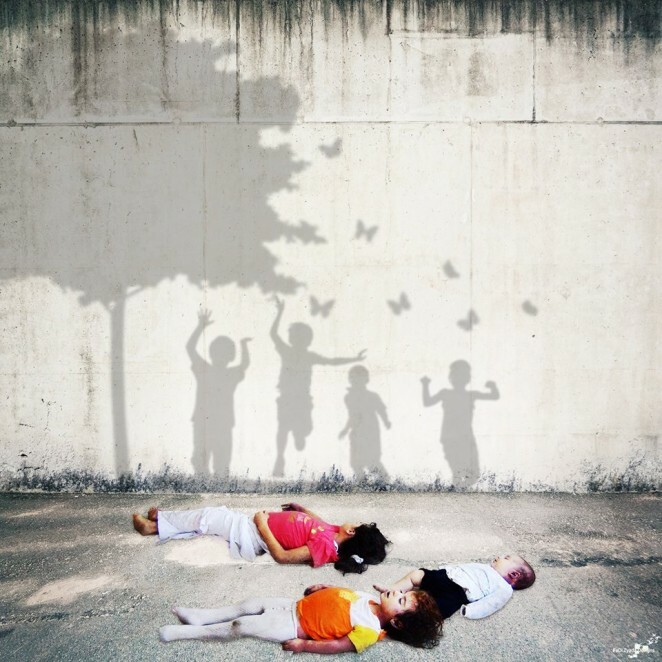 Otherwise they would have to visualize the millions of Iraqi citizens who have been murdered due to the U.S. illegal war and occupation in Iraq. Further, Purpose gives no attention to the deaths in Ukraine, Honduras, Libya, Haiti, Congo (millions) and all of the other countries being decimated by Imperialism and foreign interference. The message is clear. Purpose wants the green light for military intervention in Syria, well-cloaked under the guise of humanitarianism – an oxymoron if there ever was one. In the article, the words “U.S. funded mercenaries” have been replaced with “the jubilant rebels.” It would be well worth investigating who ordered, manufactured and paid for thousands of these new flags (prior to or commencing in February of 2011) and ensured they would replace the national flag of the Libyan Jamahiriya that flourished from 1977 to 2011. Purpose Foundation Board of Directors: Carla Sutherland, research scholar at Columbia University’s Gender and Sexuality Law Center’s Engaging Tradition Project, former program officer at Ford Foundation and Arcus Foundation;Jeremy Heimans, co-founder & CEO of Purpose, co-founder of Avaaz and co-founder of GetUp! ; Michael Evans, president of Moynihan Station Development Corporation and former chief of staff to the Lieutenant Governor of New York State. [Source]| Purpose Foundation’s organizational documents and annual reports on Form 990 can be found here. December 29, 2004: “Over two days in early December approximately three-dozen religious activists met at the Washington office of the Center for American Progress, a recently formed think tank headed by former Clinton chief of staff John Podesta. The Res Publica-driven agenda for the closed-door gathering included sessions on “building the movement infrastructure” and “objectives, strategies and core issues.” Res Publica was founded by Tom Perriello, Ricken Patel and Tom Pravda. Avaaz was founded by Res Publica, MoveOn.org, Executive Director Ricken Patel, Tom Perriello, Tom Pravda, Eli Pariser (MoveOn Executive Director), Andrea Woodhouse (consultant to the World Bank) Jeremy Heimans (co-founder of GetUp! and Purpose), and Australian entrepreneur David Madden (co-founder of GetUp and Purpose). Avaaz co-founder Tom Perriello is now President and CEO of Center for American Progress. Perriello and Patel also co-founded and co-directed DarfurGenocide.org which officially launched in 2004. “DarfurGenocide.org is a project of Res Publica, a group of public sector professionals dedicated to promoting good governance and virtuous civic cultures.” Today, this organization is now known as “Darfurian Voices”: “Darfurian Voices is a project of 24 Hours for Darfur.” The U.S. Department of State and the Open Society Institute were just two of the organizations funders and collaborating partners. Other Darfurian Voices partners include Avaaz, the National Endowment for Democracy (NED), International Centre for Transitional Justice, Darfur Rehabilitation Project, Humanity United, Darfur People’s Association of New York, Genocide Intervention, Witness, Yale Law School, The Sigrid Rausing Trust and the Bridgeway Foundation. Despite the carefully crafted language and images that tug at your emotions, such NGOs were created for and exist for one primary purpose — to protect and further American policy and interests, under the guise of philanthropy and humanitarianism. Of all the listed partners of DarfurGenocide.org, with exception of one located in London England, all of the entities involved are American and based on US soil. December 21, 2014 in Sryia. George Soros: Anti -Syria Campaign Impresario.